The latest murder under color of state law took place early in the morning last Wednesday on the west side of Chicago near Douglas Park. According to a Chicago police union spokesperson, an off-duty cop in their employee rolled down his car window as he passed a group of people and told them to “quiet down.” Police and state-run media then say a “confrontation” occurred, which they say Mr. Antonio Cross approached the cop with a gun. This, according to police, prompted the off-duty cop to fire upon the crowd at least five times, striking Ms. Rekia Boyd in the head and Mr. Cross in his hand. Ms. Boyd, 22, died less than 24 hours later, while Mr. Cross was hospitalized and released. It is unclear whether the shooter was immediately rewarded with the standard paid vacation, aka “paid administrative leave,” or if it was rewarded later. Watch a report from WLS-TV (ABC 7) in Chicago. It is becoming pretty clear that Mr. Cross, 39, did not have any sort of weapon, as he was talking on his cell phone when he was shot and the man he was speaking to and phone records corroborate that truth. 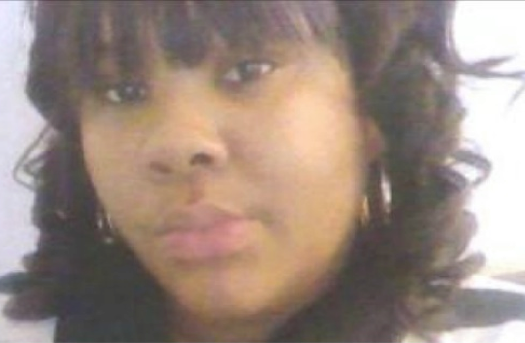 Police confiscated the phone as “evidence.” It is also clear that Ms. Boyd was unarmed and gunned down senselessly by a power-drunken Chicago cop thirsting for blood and a paid vacation. Watch a WGN report which Mr. Cross (understandably angry) explains what really happened that morning. Chicago Police Superintendent (Chief) Garry McCarthy and the police union both say the murder was “justified” because their off-duty cop identified himself as a “police officer.” There was no weapon recovered at the scene of the murder. The Independent Police Review Authority is conducting the routine kangaroo investigation, which should conclude with the inevitable “justified” disposition within a few weeks. Mr. Cross was charged with misdemeanor assault for carrying his cell phone and now must take time out of his day and life to appear in a Chicago court on April 11 to defend himself against state persecution. We could not immediately confirm whether or not Ms. Boyd had children. Our thoughts are with the Boyd family. We will also continue to follow the proceedings the State of Illinois will force Mr. Cross to endure.